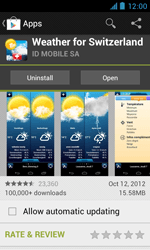 Get the most out of your ZTE Blade III with the latest apps from the Google Play store. 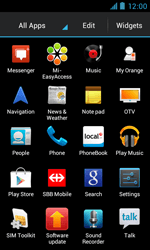 The following steps show you how to search for and install apps on your ZTE Blade III. Enter Local.ch, and choose Search. 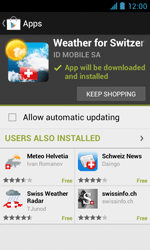 Choose Open to start the Swiss Phone Book app, or (in this case) choose the Back key twice to return to the Play Store. 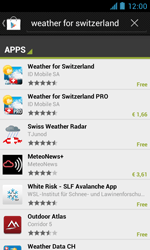 Enter Weather for Switzerland, and choose Search. 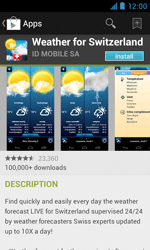 Choose Open to start the Weather app, or (in this case) choose the Back key twice to return to the Play Store. Enter SBB, and choose Search. 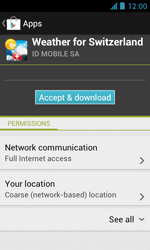 Choose Open to start the SBB Mobile app.